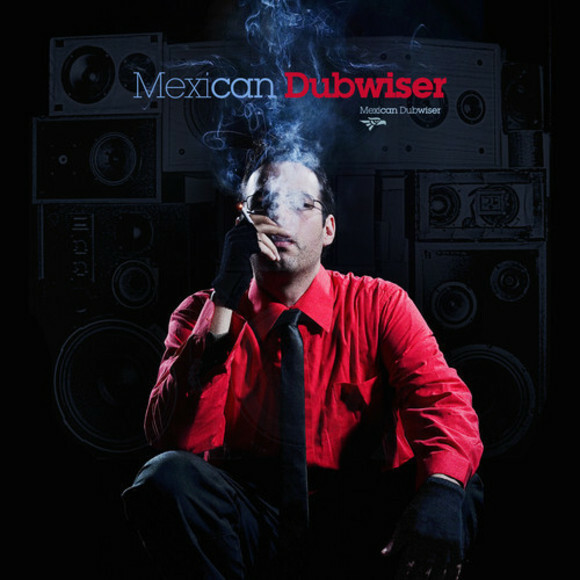 Cumbero/as, this is Andrés Digital‘s original Cumbia Round up for tropicalbass.com and this is a special presenting the mighty Mexican Dubwiser and his new Album “Revolution Radio”. Starting with a lil mix including 5 Album Tracks and some cool Remixes. TB – The deepness of Dub, Mariachis muertos playing Trombone, Guiros scratching Cumbiariddims, from Disco till Dawn – this is the Mexican Dubwiser – Welcome Marcelo Tijerina, where do you come from, where are your musical roots ? MD – I moved from Monterrey, Mexico to Los Angeles in 2000 just after the recording of “Cumbia sobre el Rio”. I was working at “Cuarto de Control” (Control Machete Studio) as assistant for Toy Selectah, I was already DJing in Mexico from Monday till Sunday and was looking for a change. In LA and after the explosion of mashups at that time, I started playing at Party’s I was organizing by myself and with the help of some friends. Bringing this Latin sounds with the new Electronica opened the doors to play bigger shows. My musical roots are a little bit of everything. I grew up surrounded by vinyl records of all kinds and I’m always trying to find new stuff, even if it was recorded before I was born. TB – I would classify “Cumbia of the great” as a classic of electronic cumbia. Now its offical released on your new album “Revolution Radio”. Your first offical Album. Tell me bout your feelings releasing that album after all that years of hard work entering a higher level. MD – Thanks for the compliment. “Cumbia of the great” was the first official Mexican Dubwiser track. 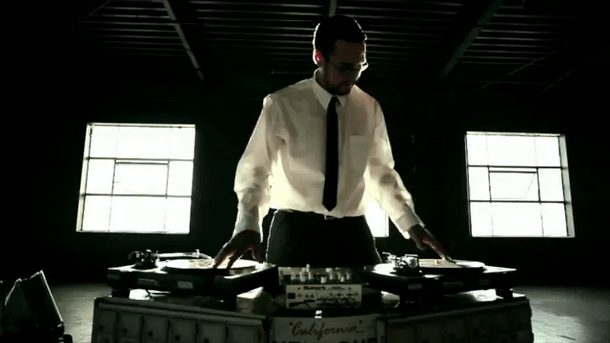 It all started with a beat by DJ Vadim while he was staying with me at one of his gigs in Los Angeles. Then it all started getting the pieces together little by little. 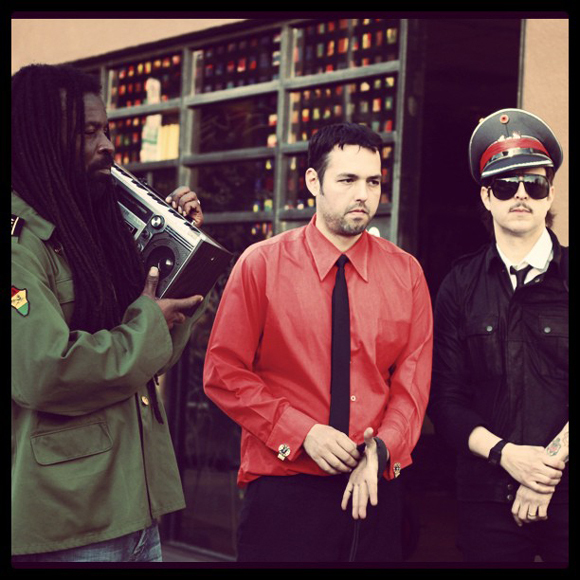 It took several years to complete the album, but in the beginning we havn’t thought: ok, Mexican Dubwiser is doing an album. We just started making more original music. Having it released in Mexico first and then in USA, I think, it made a huge difference. I feel very happy with all the good reviews of the album, we have been pleased by the audiences approval. I have very special feelings towards each track on the album, different people participate in each track, they all represent a day in the life of the Mexican Dubwiser in the last few years. TB – You have many guests on the album. Where did you record them, they all passed your studio or you met them on your way ? MD -We worked out a lot of stuff with Ulises Lozano at Kinkys Studio in LA, and it was there where we mixed everything once we had it together. Some of the guests we recorded there, others in my house or on the road. We recorded some stuff in Monterrey, Los Angeles, San Antonio, Austin, New York, Mexico DF even in Bogota, Colombia. Some things was made over the internet too. Nowadays it’s easier to be on the road with a laptop, an audio interface and a microphone etc. We are always trying to collect and record stuff wherever we are. And later it all comes together when we’re back in the studio with Ulises and there it is where we give the music the final touch. TB – I’m very impressed bout the Jamal Songs. Tell me something bout him? Really a fat Voice ! MD – Artwork Jamal is a Blues Singer I came across thanks to Jason Roberts, producer of many Bands (Cypress Hill, Control Machete, Cartel de Santa, Plastilina Mosh). I was working on the song „Trouble in my Soul“ at the time that Gorillas Song „Stylo“ came out and I asked Jason to help me to find someone with such a deep voice. He introduced me to this living Blues legend. I was so impressed about his voice that we invited him to come to the studio and listen to some of the tracks. We had some ideas laid down and showed them to him and the magic just happened. We finished two Songs in one day. Artwork is been a Blues Singer for really a long time and has played in some of the largest Blues Festivals in the USA and in a certain way I wanted to bring him to a new audience and to explore a sound that was not used before in Latin music. TB – How can we imagine a Mexican Dubwiser show. Sometimes you’re working with a Liveband, sometimes you’re playing Dj sets ? MD – Yes we try to make the Live Shows with the Band if it’s possible and I do DJ sets too. When we play with the Band it’s more like the tracks on the CD and this is something I love to do. We are working like a Soundsystem. Doing DJ sets on a way limits me, even while I can play all kinds of Music and focus on different Sounds. But with the Live Act, we are playing our own Songs and it’s our proper Sound. We like to invite different musicians from time to time and we’re working like a collective, we are all just one, doesn’t matter who is on stage and at the end the most important thing is the music and the people moved by that music. TB – Your hometown Monterrey today is well known for his 3balleros. You like the 3ballistic style ? Yes, I love what they are doing, they have a distinctive Sound, just like a lot of the bands that had come out from Monterrey for the last 15 years. They have so much Style, they are making a unique trade mark Sound. When I do DJ sets I try to play all sorts of Sounds and Music and People really love it when I play 3ball and can’t stop moving. And that’s what counts. Good music is good music anywhere so it’s just the matter of presenting it to them. TB – Where could the fans purchase the Album ?